A few weeks ago, I've had the pleasure of meeting two really nice people. Aaron and Sam. Two urban homesteaders who also live in my village. 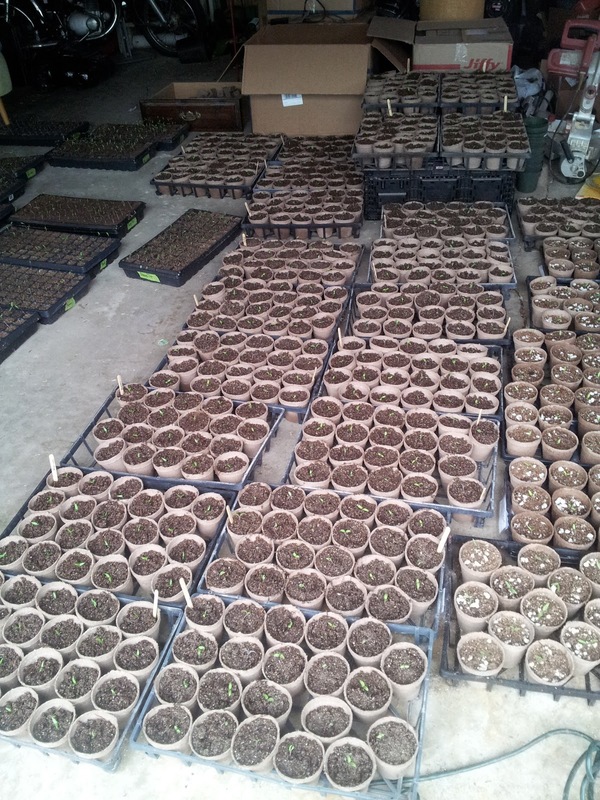 They also operate Oschner Farms which showcases heirloom vegetables, and rare tobaccos. 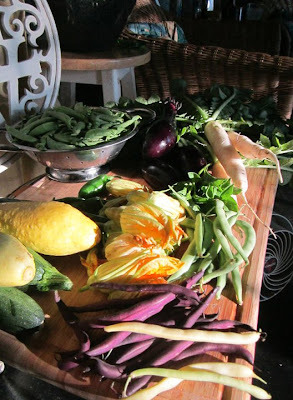 They had a traditional CSA last year which produced hundreds of pounds of organic and local kale, onions, juicy summer tomatoes, kohlrabi, eggplants and many more. I had the pleasure of seeing their land and some overwintered vegetables while visiting their farm last weekend. A photo from last year's CSA baskets from Oschner Farms. Since meeting them, we have completely hit it off like kindred spirits of the farming sort. That being said, one thing we homesteaders do exceptionally well is lend a hand. 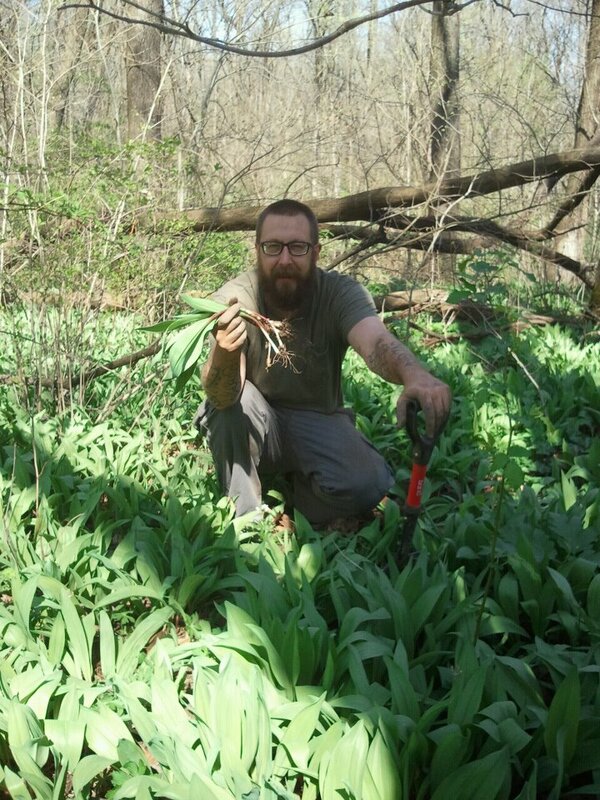 Aaron was in the midst of a large ramp harvest, and had thousands of seedlings that needed transplanting. I told him I would love to give them a hand, and bring the whole fam over. Through conversation, it became known that Aaron and Sam were good cooks with actual restaurant culinary experience. Then, I told him I could bring even more hands to lighten the load if there was food involved. IT IS WRITTEN, SO IT SHALL BE DONE! 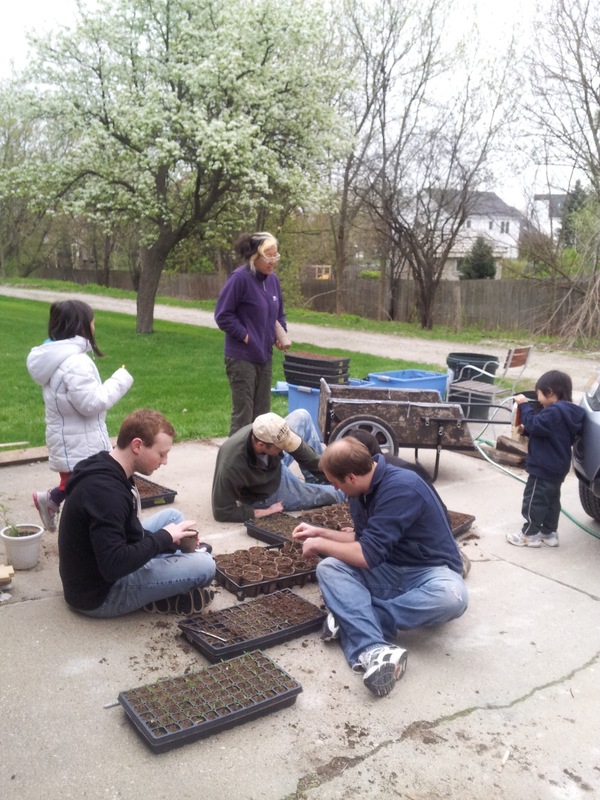 In conclusion, last Sunday we went over to Oschner farms and transplanted seedlings with Sam while Aaron was harvesting ramps. Meanwhile back at the ranch... quite literally. The kids, and our good buddies were transplanting seedlings from seedling tray to 4" pots with popsicle sticks. 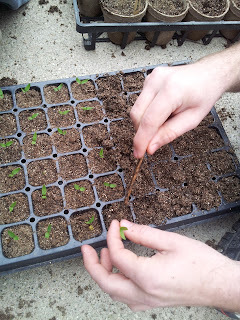 When the seedling trays were brought out, my daughter Momsi said "Are those peppers?" Sam exclaimed, "yes!" and complimented Momsi on her ability to identify seedlings. This may or may not be correct form, but the vermiculite mix was too crumbly to remove an entire cell. 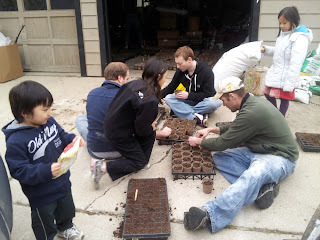 The seed starter mix was a combination of Vermiculite, peat, and magical sea goodies. 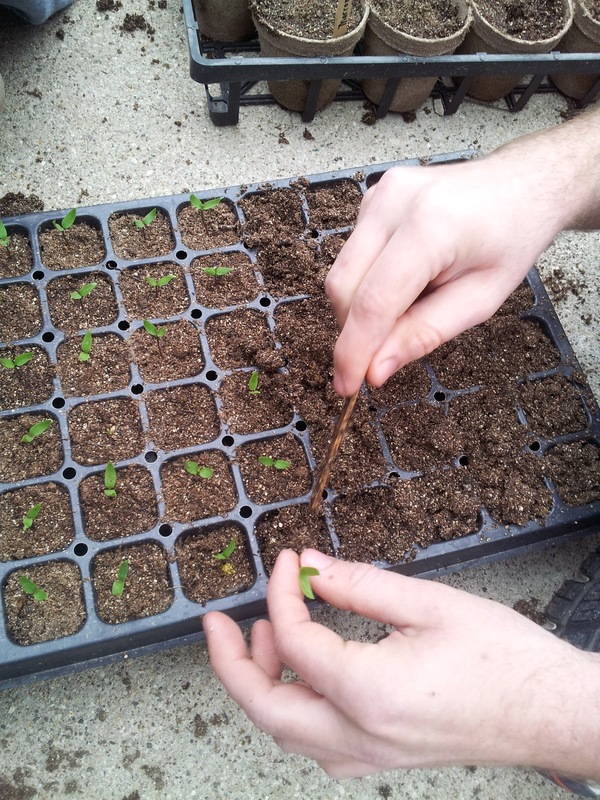 Either way, the art of transplanting seedlings with popsicle sticks is a method I've seen even in 1970's gardening books. This was a long lost art form in revival, I'm telling you! Here is a picture of the pots we filled, and transplanted. It worked out swimmingly. Good friendships were made that day with some very good people. By the time Aaron had come back from ramping, we were all out of pots, and ready for the much anticipated dinner of smoked pork shoulder on pretzel buns (with a chipotle raspberry BBQ sauce), and rainbow cole slaw. They even made us some potato soup with shittake mushrooms and ramps. All made from scratch! It was a nice warm up from working in the brisk weather.